All you need to know about irrigation in just two days! Workshops for farmers and growers, managers, scheme members and industry. You can attend the full two‑day programme or simply pick and choose the workshops that are most relevant to you. As part of the Great Irrigation Challenge this year, Irricon are offering a $2,500 prize for an Irricon consultation or service open to all participants who send a photo with caption showcasing their positive environmental practices. Submit your photo between 1 April and the 24 May, and they’ll draw the winner during the conference on the 25 May. Viking Containment has just completed another cell at the Naboro Landfill in Fiji. The landfill area to be lined was 10,000m². 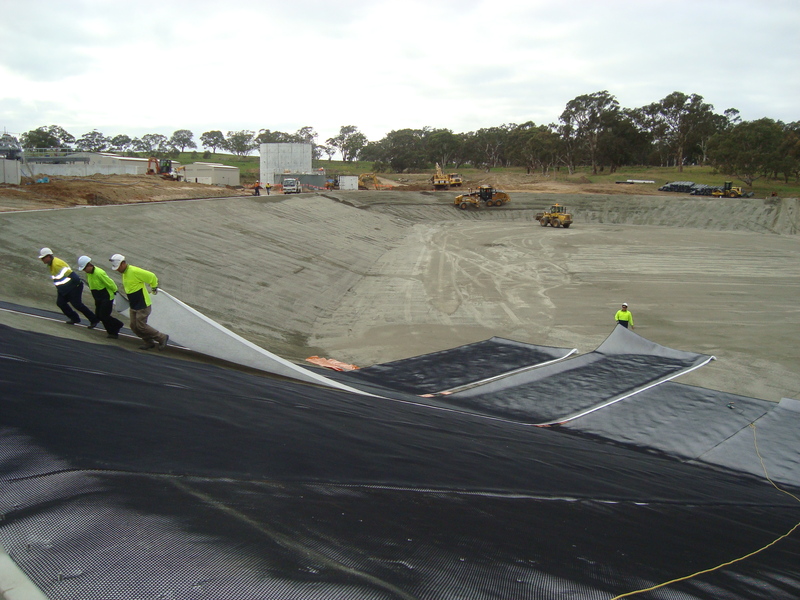 The liner for the project was a Solmax 1.5mm Double Sided Texture HDPE, Cetco ST GCL and a 1000gsm Texshield Geotextile which was all installed over 8 days by the Viking Installation crew. 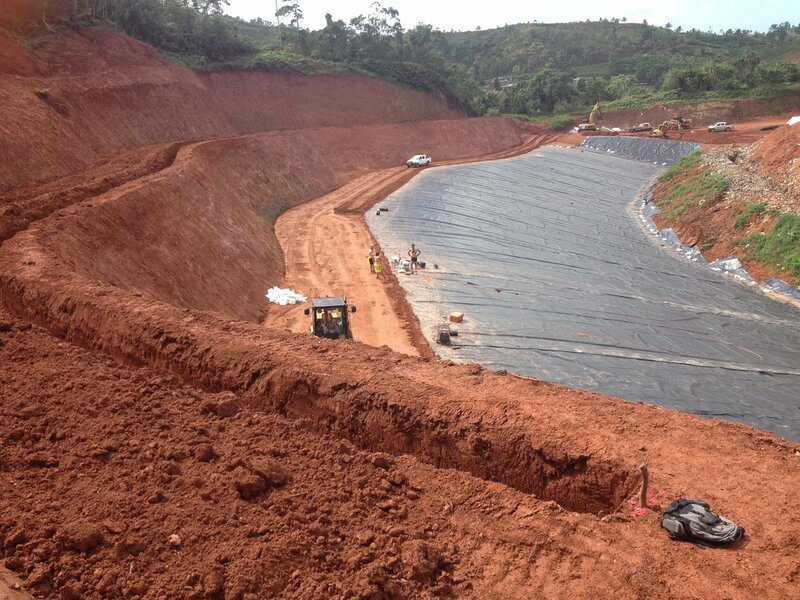 The objective of Quality Assurance is to ensure the liner and cover is being installed to the project specification. 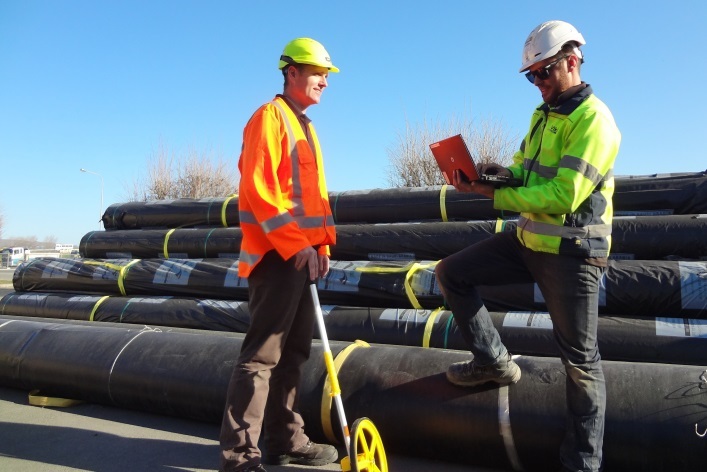 Viking has developed an Electronic Quality Assurance system (EQA) for geosynthetic liner installation. Quality assurance and health and safety data is recorded in real time in the field on a tablet, ensuring accuracy and complete capture of data. You can watch this link on TV3 news which shows some of the construction and Ben's interview. Viking Containment has been awarded the Reuse Water Lagoon contract for the design, supply and installation of a liner and Floating Cover system by Gold Alliance for SA Water in Adelaide. The water to be stored in the lagoon is reuse water from the wastewater treatment plant it is treated and recycled water for irrigation purposes. The liner system is a reinforced polypropylene complete with a flownet leak detection layer. The floating cover system is a central plate design, fabricated from a high grade reinforced Hypalon. It accommodates fluctuating water levels, channels water to defined sumps for discharge and incorporates access hatches, sample ports and walkways.